We offer planed and strength assorted construction timber, which fully complies with EU standard EN1912. Assorting the timber based on strength can be done in one of two ways – either visually or using automated machine aids. In the latter, the most common process is whereby the materials carried by the production line are pressed town with a predefined force in order to assess its bending factor. Visual assortment takes place when a specially trained assessor assesses the number and placement of braches for each individual beam along with possible defects in order to evaluate the beams’ strength class. Assortment based on strength takes place when each beam is marked with a stamp indicating its respective strength class. The number designates the normative bending strength for a timber product measured in N/mm2. Mechanical assortment measures the elasticity module of sawn timber. The strength of the timber is evaluated as a function of the elasticity module and strength factor. The classification given by mechanical assortment is always augmented with visual inspections. 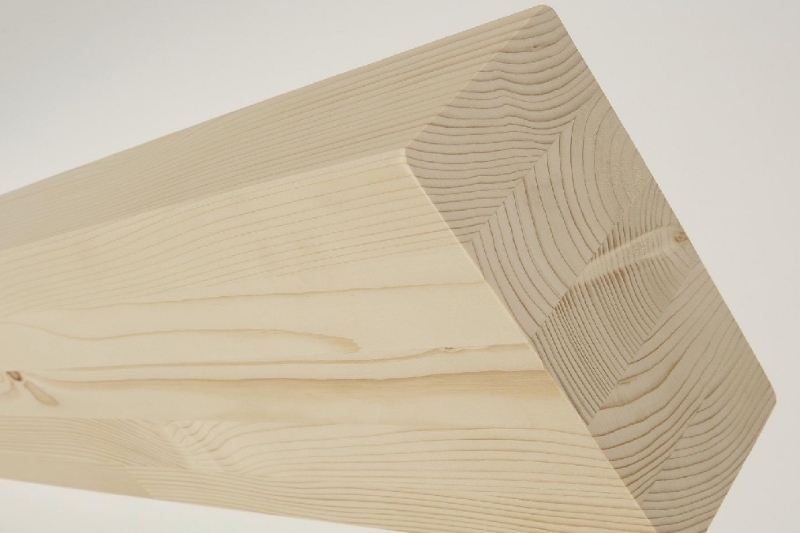 The European Standard EN 3381 divides sawn timber from conifer trees (together with poplar trees) into nine distinct classes. C14, C16, C18, C22, C24, C27, C30, C35 and C40. In Estonia the most common classes are C16 and C24. NB! Timber of different thicknesses is also available – for special offers please present your requirements by writing to the following address info()liimpuit.ee after which we will present you with a suitable offer. What are supply times for strength assorted timber? Who might be interested in strength assorted timber? Where is strength assorted timber usually used?